The following points system will be used to determine event winners. The same amount of points will be given to each placement regardless of the number of riders entered. 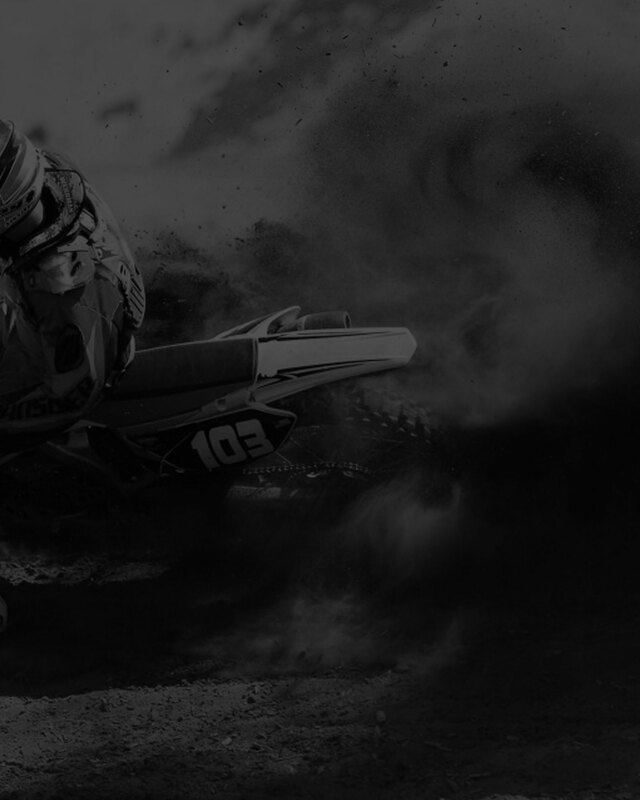 Pro payout will be 100% during the Motocross series (day) and 100% during the MX STADIUM SERIES (night). 1. All riders finishing 15th place or beyond will receive 1 point per event. 2. To be eligible to receive moto finish points the unaided rider and machine are required to cross the finish line together unless they are instructed to do otherwise by the referee or the direct instruction of the finish line official. Riders must also complete over 50% of their allotted laps. Failure to comply can result in the forfeit of moto and finish points . 3. All DNF’s (Did Not Finish) will receive 1 point, providing that rule # 2 was followed. 4. If a rider who takes a moto win is disqualified, all riders will move up and the moto win will be given to the second place rider respectively. 5. The rider receiving points in one moto, but failing to participate in another moto, does not forfeit points earned in the other moto. self, will be black flagged and removed from the track. They will not be disqualified unless they fail to comply with the black flag. 7. In the event of a tie in points at the end of a Series, the rider with the most class entries will win the Series title for that event, in the event there is still a tie, the rider with the most wins will be awarded the Series title. A) Two qualifiers will immediately follow practice. Depending upon the number of participants, riders from each qualifier will go to the main moto. The riders in the first two qualifiers shall not receive moto points; however, the riders not advancing to the main event will receive 1 finish point. B) One LCQ (last chance qualifier) moto will be run at the time the first regularly scheduled moto for that class would have been run, and consisting of all riders who did not place in the qualifiers. These riders will not receive moto win points; however, the riders not advancing to the main event will receive one finish point. 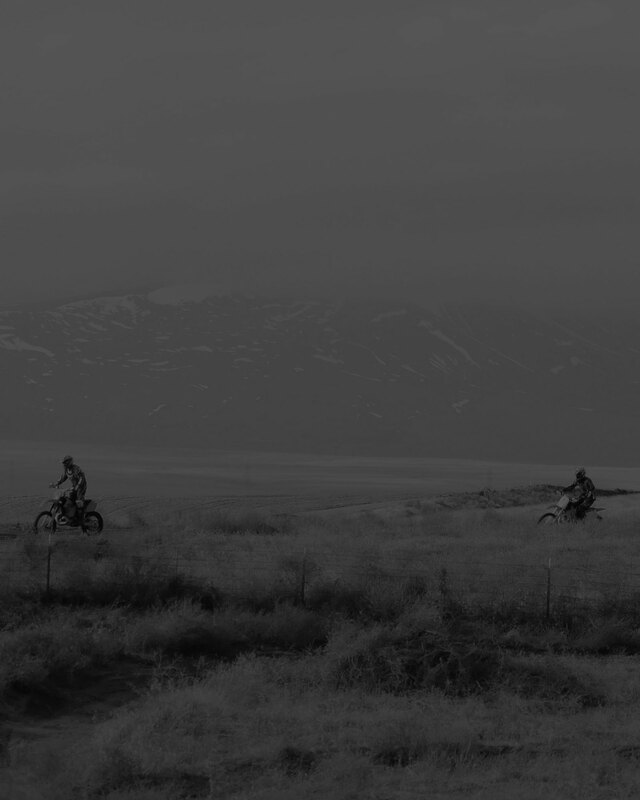 C) The top riders from the LCQ moto will advance to the main event, which will run at the time the second moto for that class is regularly scheduled to run. D) Riders in the final moto will compete for trophies and points in that moto. 9) You will have 30 minutes after moto posting to protest results. If there is a protest, we will repost and you will have 15 minutes after the second posting for protests. Results will be final after 30 minutes from the initial posting if there are no protests and highlighted. – Please receive protest form from rider sign in. HRMC will then notify proper officials for review. Please see FORMS page to view and download. – Official will contact concerning Parties after review for discussion or decision. – This discussion will be handled in a professional manner. All decisions will be final for that moto. • The penalty for “jumping the gate” can be the forfeiture of one lap. The start gate officials are responsible for enforcing this requirement. A rider who jumps the start will be notified if he/she is docked one lap by an HRMC official after the race is finished. If a rider advances to front, following a jumped gate the rider will be docked 1 lap, multiple rider jump gate and the event will be brought back for a restart. If any of the riders of the multiple jump gate offend for 2nd time, they will be docked 1 lap and the race will continue. A) The infraction occurred as a measure to prevent immediate collision or injury to another rider. B) To avoid disqualification, the rider leaving the course should return to the location he/she left and reenter the race in a safe manner. 3. No riders (with the exception of 50cc and 65cc BEG) will receive outside assistance in restarting machine assistance from track crew is allowed when safe to do so and to prevent further injury to rider. Riders can be disqualified as a result. 4. Riders and pit crew personal are to stay in designated areas, i.e., pit board row, behind barriers, signs and fences. Exception: 50cc and 65Beg only classes, parent/Mechanic 1 per rider will be allowed onto the track in a safe manner to coach and assist the rider. Any Parent/Mechanic interfering in the advancement or progress of the other racers on the track surface will be grounds for disqualification of their rider. Disregarding track rule safety procedures can be grounds for being expelled temporarily or permanently from the facility, fined or forfeiture of the day’s event scoring with no refunds. 5. Riders and pit crew personnel are not allowed in front of the starting gate. NO modifications to the track in front of riders start. There will be NO modifications to the concrete start. No dirt, etc. will be added to the concrete surface. Sweeping concrete surface is allowed. The penalty of start modification can result in loss of a lap and will be at the decision of HRMC officials. No one except the rider is allowed on the start pad once the 30 second board has dropped. 6. First moto gate picks will randomly generated from trackside program. The second moto gate pick will be a direct result of the finish order of the 1st moto, i.e., 1st place in moto 1 will have the 1st gate pick in moto 2. There will be no saving gates, the rider should be aware of the moto order in the staging area. 7. Riders must push their bikes from staging to the start gate. A rider is allowed to have a pit crew member accompany them to the line. Exception: Quads ride very slow to gate from staging. 8. Appropriate gear must be worn at all times while riding on the track. The required gear is as follows: Helmet, goggles, long sleeve shirt, long pants, over the ankle boots, and gloves. A chest protector is strongly recommended, but not required. NOTE: All Hair past Shoulder length and protruding from helmet must be tucked inside the helmet. No Exceptions. A. Quads must have a tether kill switch. D. # must be displayed on rear of ATV. F. Failure to be unable to score or read the # will be forfeiture of points and moto placement. G. Quads running the ATV mini classes cannot have upper class experience in a higher cc or class level. ATV Mini Class is for Beg/Junior rider meeting the class criteria. Any rider found riding in an upper class level and is protested by competitor or referee ruling will be disqualified from that class. NOTE: These rules apply for all quads, No exceptions. 9. Numbers must be clearly displayed on all bikes and quads during an HRMC event. Highly visible numbers are to be displayed on both sides as well as the front. In the event that duplicate numbers have been determined, HRMC will notify the rider that is required to alter his/her number at the rider‘s meeting. The bike/quad that entered first will be the one that is permitted to run their number without alteration. 10. All minis (50s, 60s, and 80s) that have been modified to increase cc displacement are to be ridden in the appropriate classes, i.e. : Super mini. All big wheels are only permitted in the Super mini class. * Rule #10 applies to all HRMC sponsored events. Various other organizations, including AMA, have strict parameters regarding bike modifications of any kind. Please consult your AMA rulebook for specific rulings. AMA also has age guide lines that also should be reviewed. B) White, One lap to go to finish. C) Yellow: Caution, Danger on the track, Slow (No jumping or passing until after the incident), failure to observe caution flag will result in docking of 1 lap or Disqualification. 1. BLUE WITH YELLOW STRIPE: Courtesy flag, rider is being lapped, rider is being overtaken by another leading rider IN AN ADVANCED LAP, please do not interfere with leading progression. E) Red, Stopping of the race for an Emergency situation or infraction (please return to start Gate.). F) Black, Disqualification of racer, exit track immediately and see HRMC Official. G) Black and White Checkered, Finish, end of race. 12. Riders are not allowed to race a bike in a size class with a motor larger that the size designated by the name of the class with the exception of 250cc four strokes which will be and are allowed to compete in the 125cc and the 250cc class at the rider’s discretion. 13. Riders are only allowed to practice for classes they are signed up for. If you are caught taking extra practices, you will be penalized at the start gate by 15 seconds in each class you signed up for. The same penalty can occur in the result of entering the track at non designated start areas, as well as using practice tickets that were not issued to you. You must have a current practice ticket and arm band for that day. This is strictly enforced by gate officials. The only place to enter practice is from the start gate area and NO CUTTING TRACK TO ADVANCE YOUR POSITION TO THE FRONT ALLOWED!! This could result in a penalty of 1 lap being deducted for your moto or penalty of 15 secs per class entered. 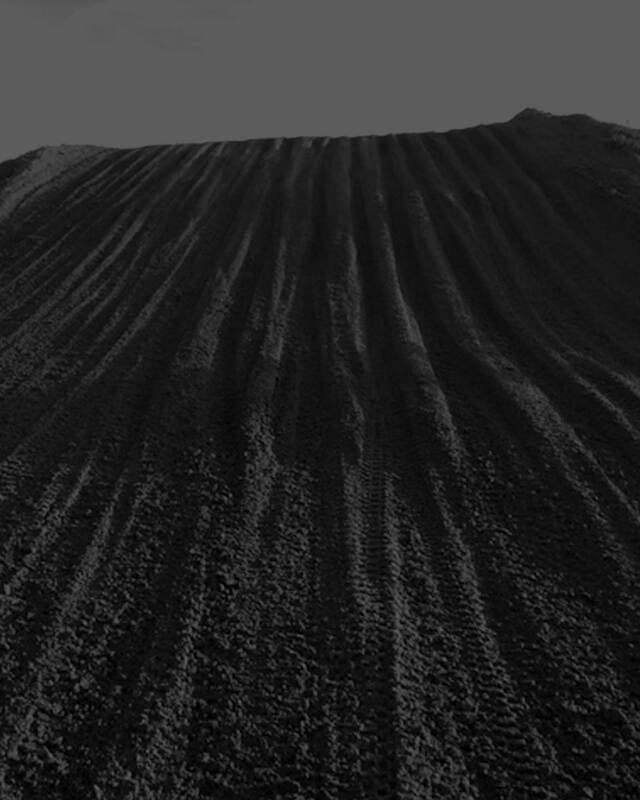 After completion of 1 full lap will a rider be able to break down sections of the track for practice. This is for the rider safety and for the safety of the crew and officials. 14. Parents of minors will not be allowed to scream at, slap, hit, swear at their rider (or anyone else’s rider) or the HRMC staff, PERIOD. Parents may be required to sign a code of conduct prior to their child racing at HRMC racing events. Parents can be asked to leave the premises if caught in violation of the code of conduct. This Kind of action could result in permanent suspension from the HRMC Facility. 15. Riders may use an alternate bike in a moto if necessary, but bike must be of the same nature as the one initially intended to race. An HRMC representative will have the final decision on alternate bikes. No Passenger can ride on the back of any motorcycle without a helmet!!! 17. Pit bike racing will follow rules equivalent to AMA rules and at the decision of HRMC Official. 18. ALL DOGS MUST BE ON A LEASH and please clean up after your animals. 19. No bicycles in staging area or grandstand areas. 1. Riding any motorized bike/quad without a helmet, this includes in the pits. 2. Indecent Conduct of a rider or anyone associated with the rider (Arguing with any official or track crew/ use of foul language) can be disqualified. This includes Disrespect toward HRMC organization, families or the competitors and staff. The HRMC Facility is a family oriented facility; please respect others around you, adults and kids alike. If you have an issue please see track officials. Distractions and heckling during events or practices is not tolerated in the facility. You will be asked to leave. Please handle yourself in a professional manner. Violation of this rule could result in temporary or permanent suspension from the facility. Please be courteous to track staff, they are doing their job. Violation of this policy #2 above can result in permanent suspension from the Facility. 3. 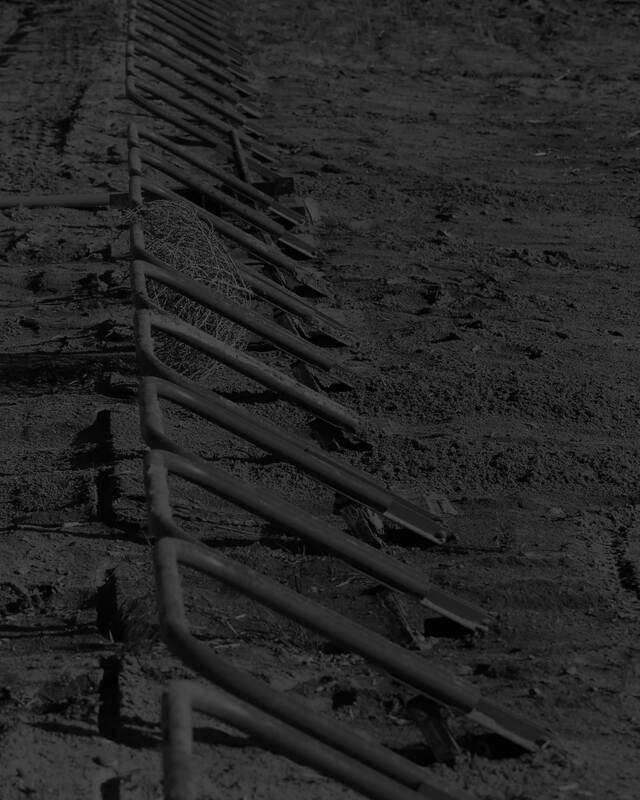 Riders can be disqualified if parent, family, or friends of riders jump the fence onto the track surface during a race. (This is a safety issue, if a rider is injured: please wait for an HRMC representative to signal you to the track). Jumping across the fence or onto the track surface can result in the injury to that person or others on the track and limit the EMT from performing his/her duties of caring for the rider. 4. Willful destruction of property, bldgs. (this includes the parking area). NOTE: No washing of Machine air filters in bathroom sinks or displacing oil to the ground in an Intentional manner. This is against the law and is punishable by Law. Use proper containers and do not dispose in the dumpsters take it with you for proper disposal or use our reclaim station located at the facility. 5. Use of drugs or alcohol during an event by a rider and/or anyone associated with the rider. 6. Crossing the track in front of a rider, running out on the track during a race, or spectating in a manner that will endanger yourself or other riders. 7. No Racing, passing, or jumping in the vicinity of where a yellow flag/Medical flag is being displayed. 8. There will be no refunds if you are disqualified for any reason. No refunds after practice for that day’s event. Circumstantial situations must be brought to a HRMC track official. 9. The rider/family is responsible for the conduct of all persons associated with the rider; this includes the night prior to an event. 10. There is a noise limit in the complex; quiet hour is from 10:00pm to 7:00am. An HRMC official can enforce disqualification for any infraction of this rule. 3rd End of your racing day or banned from the facility. 12. No spinning of tires (bikes/quads/autos) in grass or gravel. 13. No track cutting or berm cutting. PLEASE WATCH FOR SPRINKLER HEADS AND NO MOTORIZED VEHICLES ARE ALLOWED ON THE GRASS AREAS!!! REMEMBER THE SMALL KIDS AT PLAY, WE SHOULD ALL BE WATCHING! – Event is defined: The races that make up the individual day or night Series. The race format determines the criteria for the event per day. Ex: RND #1 is an event; RND #2 is an event. Riders cannot run half of their class and switch to another class and win the Championship in both classes during the Series. (You have not met the criteria of the set Series). Riders must complete the minimum event criteria for that class. EX: Must have raced 8 out of the 10 times in the 85cc class. Please see current year flyer for that posted series requirement. 3. After 1 Series wins or 100pts accumulating in the D class (Beg), the rider will be required to advance into the next higher class, i.e. C class. If a rider starts out in d class (Beg) and skill level is being accomplished quickly then D class riders have the opportunity to move themselves and take 50% if his/her points with them to move up to the next class. If HRMC has to move you up do to a skill level protest, then you will not be able to take your 50% pts with you. Attendance requirements for the series will be honored to carry to next class level. The rider will start out next class at 0 pts if Officials have to move the rider up to next class. 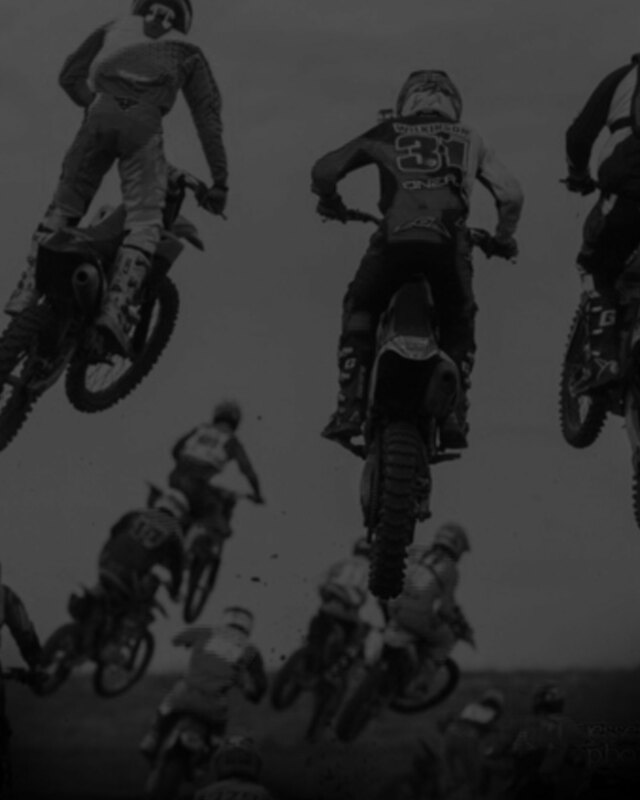 If a rider knowingly enters a D class after racing other series events elsewhere, the rider will be investigated from a protest and that rider will be disqualified from that class and given the option to move into his/her next level and or appropriate class if evidence shows to be true. No points will be awarded for this infraction. If a rider has previously raced, left the sport and came back, he/she is not considered a D Level rider you must move up to another class. 4. In the event that a series champion has already began another series prior to the championship award, he/she will be allowed to finish the previously started series in the division entered (leading riders should view rule 8). All series started following a championship will be required to move to the next higher division, i.e. D to C (With Exception to the 85cc class, entering into the 125cc class, he/she must move to the c class. Once a 125cc rider or higher and advance to bigger cc class rider moves to the class he/she qualifies in Ex: 125cc B class and moves to 250 B class…. 5. After a rider advances out of the D class he/she will not be permitted to return to D.
Example: A 125 B rider is still considered a B if he/she moves to a 250cc machine. 6. 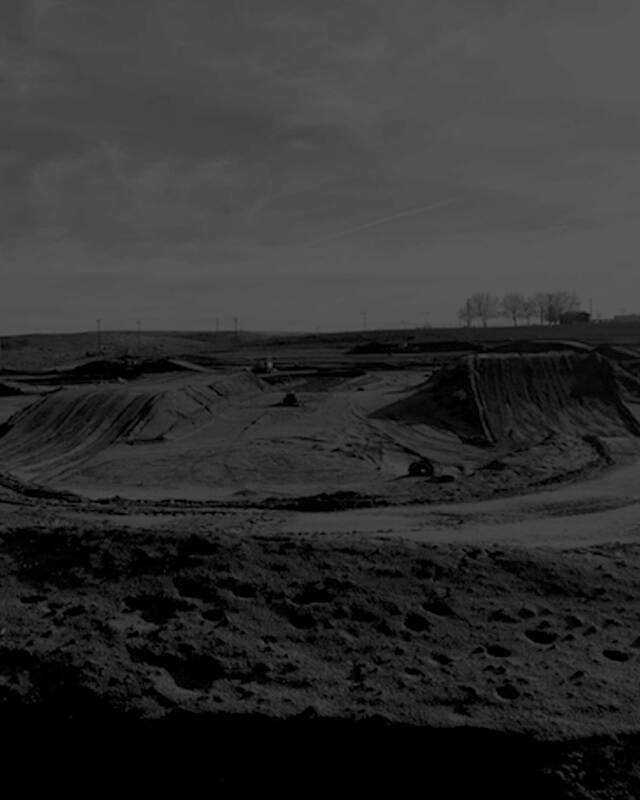 First time C Division Motocross series (day) champions and the Stadium mx Series (night) champions will have the option to continue to compete in the C division until he/she has been awarded future C Division Motocross/Super cross championships. Please remember this is an option and not a requirement. HRMC officials reserve the right to reassess all returning Championship C riders of their racing abilities and their continued eligibility to compete at the C level. Assessment will be according to the random monitoring of lap times of the top riders of the C division in comparison to the average lap times of the B division. In the event that the C rider is found to be competitive in the B division by the referee and/or lap times, HRMC will contact the rider/family to inform him/her of our eligibility assessment and advancement decision. 7. HRMC encourages our more accomplished D racers (SAND BAGGERS) to move themselves into the C division as soon as one feels his level has improved. 8. HRMC personnel will be randomly monitoring and timing various lap results to help ensure our racers are competing at the appropriate level. In the event a racer is riding less than or beyond a level of his/her current class status, HRMC officials are committed to the sport of racing as well as to the riders themselves (and families if applies) in assessing which riding division is the most appropriate in regards to rider safety and ability. HRMC reserves the right to adjust riding levels. HRMC requires 3 riders constitute a class; however, final decision shall be made by track officials whether enough riders are available to run a class. A rider must meet the age group requirement as of Jan 1st of the start of the current season. If a rider is in a class and reaches that age level he/she will be allowed to continue the series until complete. EX: 50+ are eligible to run 40+, and 30+. However the rider must maintain his/her skill level. EX: 40+ INT can ride in a 30+ INT class as well. Note Stadium MX Night Series “Desert Thunder Series”, all classes run the same track. **For all HRMC Racing Classes, please see HRMC sign-up form available for viewing and download here. *HRMC must approve all trophy buy backs. *No damaged wood or column pieces. *All trophies must be 2008 season or newer to qualify.